Air actuated brass ball valve with double acting pneumatic or spring return actuator, ball valve designed for actuation with integrally cast ISO5211 actuator mounting platform, supplied assembled and bench function tested. WRAS approved ball valve for use with drinking water. 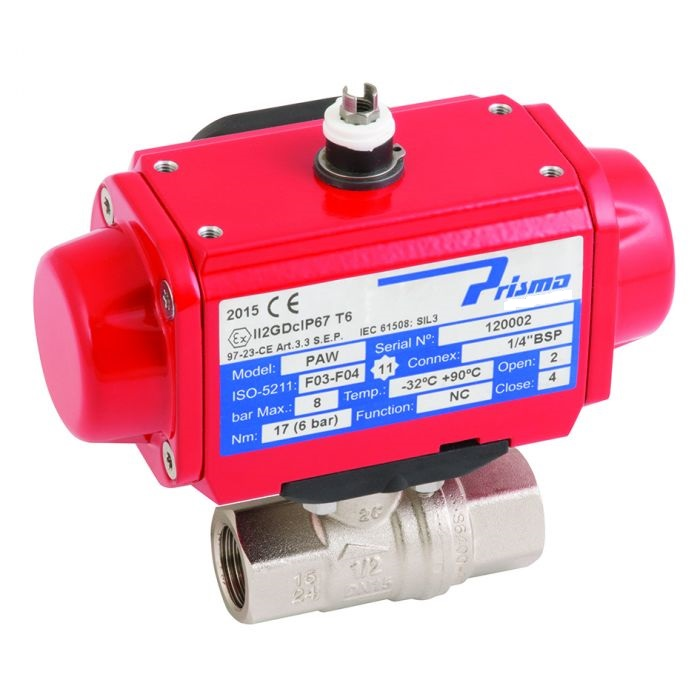 Prisma pneumatic actuator fitted producing a competitive valve and actuator assembly.